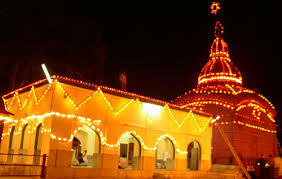 Hear is Some Information about Shri Tripura Sundari Temple in Banswara Rajasthan India. 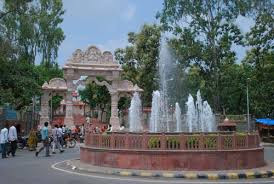 The Shri Tripura Sundari Temple is Located in Talwara Town near Banswara Rajasthan.The temple was built in 1501 A.D abd built by Maharaja Dhanya Manikya Debbarma.The temple id dedicated to Goddesh Shri Tripura Sundari.The presiding deity is Goddess Lalita Tripura Sundari (meaning the beauty of the three worlds) who is one of the forms of Goddess Shakti.In this temple two identical images of the same deity inside the temple. One is Chhotima which is around 2 feet in height and the other Tripura Sundari which is of 5 feet. 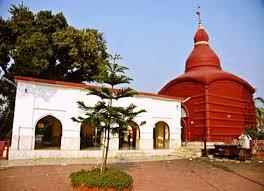 Tripura Sundari Temple is also known as Kurma Pith because the shape of the temple is similar to that of tortoise. The Goddess with eighteen arms is seen inside the sanctum on a lion statue. 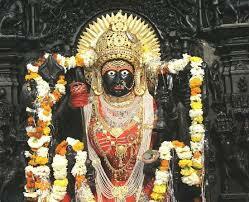 The idol is made of reddish black Kastic pathar. Shri Yantra (the symbol of Hindu tantra) is built at her feet. Tripura Sundari is so called because she is seen in her three different forms such as that of a lion, peacock and seated on a lotus, and appears as Kumarika, a young girl in the morning; as an attractive young- maid in the mid-day, and an adult woman in the evening. The backdrop of the main shrine is carved with the winter images of the nine Durga. There are also shrines dedicated to Hanuman which is seen at the entrance and Neeelkanth Mahadev at the backside. The Kalyan Sagar Lake in the eastern side of the temple adds to its beauty. The shrine of the goddess on its lion steed ‘Bhagvati Tripura Sundari’ is a statue with Eighteen arms. The huge eight armed shrine of 5 ft. , wields a variety of weapons. The winter images of the nine Durga are inscribed in the background of the main shrine. At the holy feet of the goddess is built a ‘ Shri Yantra’ known for its mystical powers. The goddess in her three different forms such as that of a lion, peacock and seated on a lotus, gives appearance as ‘Kumarika’ , a lass, in the morning; that of an attractive and full bloomed young maid in the mid day, and a complete adult woman in the evening; which is why she is called ‘Tripura Sundari’.Sitting before the mystifying shrine of great beauty and justre, the visitors get absorbed in endlessly for hours. By Road : Tripura Sundari Temple is located about 55 km from Agartala, the capital city of Tripura, and 3 km from Udaipur which is the district Head-Quarter of the South Tripura district. National Highway 44 connects Tripura with many north- eastern states by road. Bus services are available from Silchar, Guwahati, Karimganj and Shillong. By Train : The Nearest Railway station is Golsar Station(38 Km) . By Air : The Nearest Airport is Agartala Airport (114 Km).